The EUR/USD currency pair continued moving upwards and almost returned to the level where the channel had been broken before. 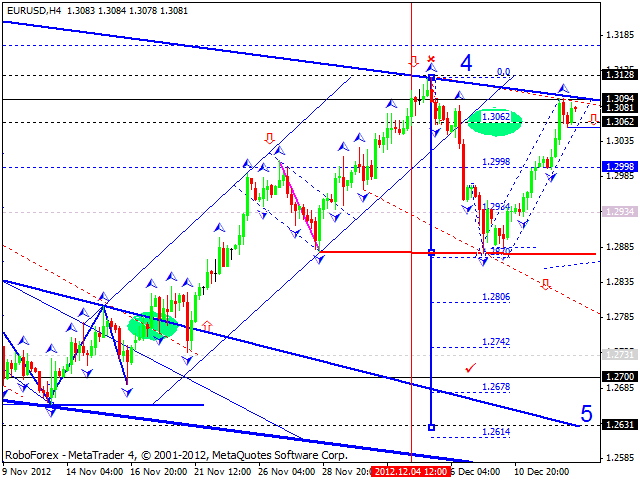 Today we can see that the price is forming a descending impulse and consolidating a little bit. In my opinion, today the pair may continue falling down, form a reversal pattern at the currents maximums, and start forming the third wave. 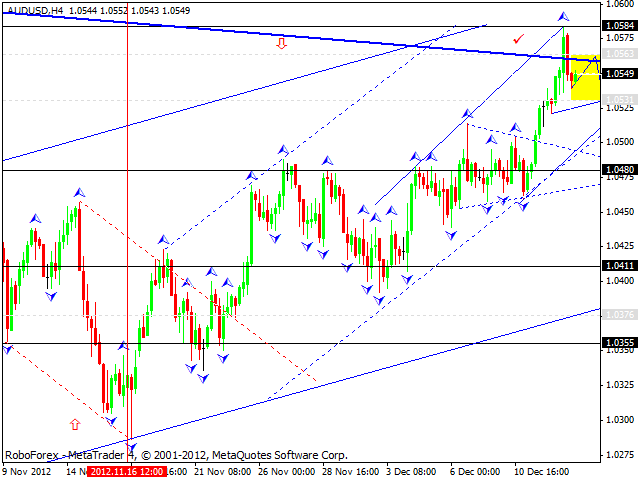 The GBP/USD currency pair moved upwards a bit higher than I expected. Today we can see that the market is forming a descending impulse. I think the pair may consolidate at the current levels for a while and then form a reversal pattern in order to continue falling down. 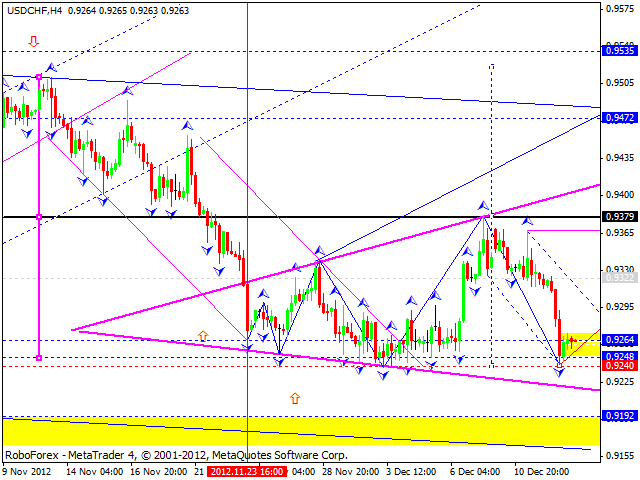 The USD/CHF currency pair continued moving downwards and returned to the level of 0.9260. 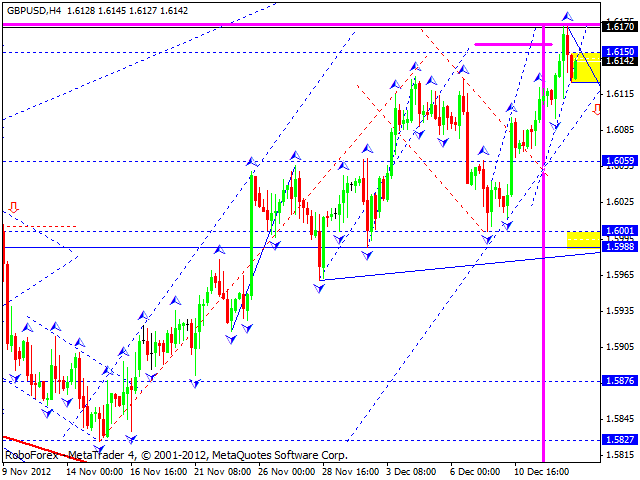 We can see that the price is forming a descending impulse and consolidating. Today, in my opinion, the pair may form any kind of reversal pattern and then start growing up. 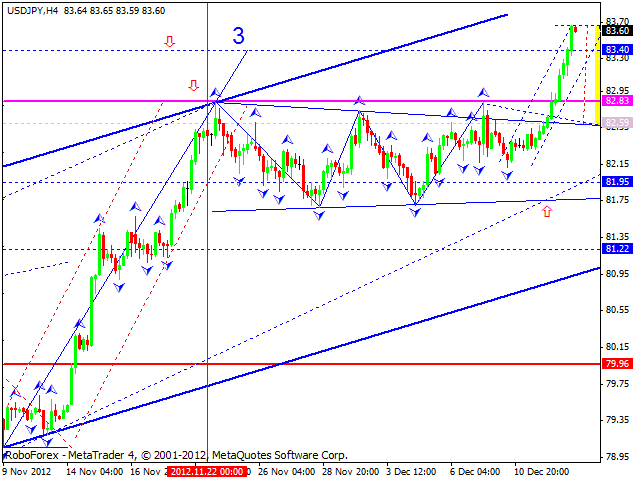 The USD/JPY currency pair reached the target of an ascending wave. Today I expect the price to start a correction. In my opinion, in order to start this correction, the pair may form a reversal pattern, and then move towards a predicted target at 82. Australian Dollar reached the main target of the current ascending wave and right now is forming the first descending impulse. Today the pair may form consolidation channel at the current levels, then break it downwards, and start a corrective movement towards a predicted target at to the level of 1.0355. 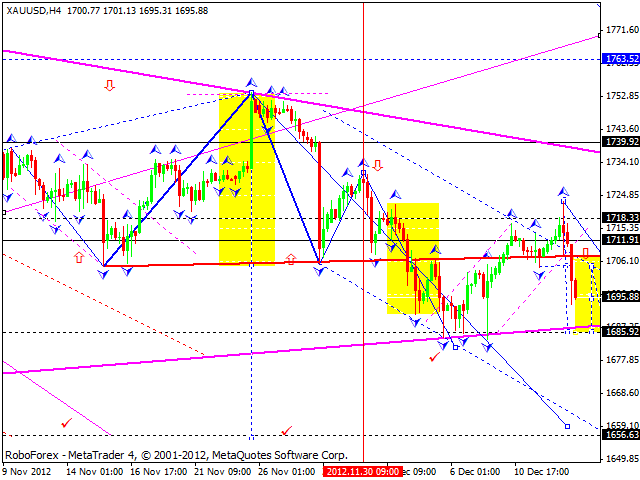 Gold tried to continue moving upwards, but failed and formed a descending impulse instead. Today, in my opinion, the instrument may continue falling down towards the target at 1685, then test the level of 1704 from below, and after that continue moving downwards to reach the main target at 1656.